It’s finally October, and while that’s great news for Halloween stores and people who live in Germany, it’s generally bad news for theater-goers. The reason being that there usually isn’t that much to watch, aside from the odd B-level horror movie set to debut sometime around Halloween (although even the sequel to “Insidious” has already been out for almost a month). So when a low-profile gem manages to slip under the radar, it’s that much more exciting, as it was with the release of “Prisoners” last week. 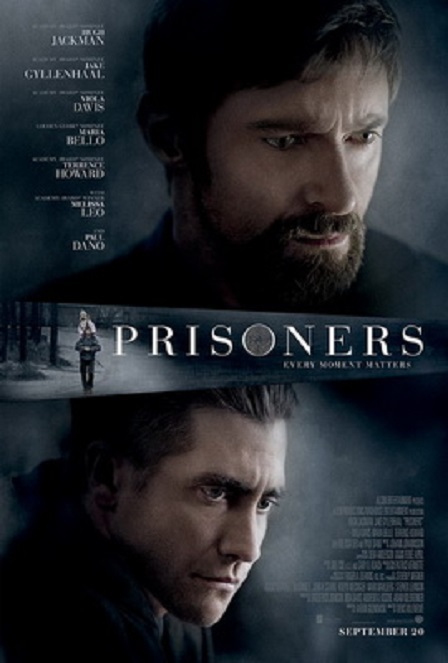 “Prisoners” doesn’t have any noticeable supernatural elements to it, it isn’t filmed with a handheld camera, and it isn’t a sequel, so it’s not the usual horror-movie fare that we’ve been used to seeing around this time of year; but make no mistake: this is a monster movie. Watching it is like playing “Mafia” (or, more appropriately, it’s Halloween-themed adaptation “Werewolf”) with friends; it’s easy to become so busy preoccupied trying to figure out who among the bad guys is the “monster,” that one loses track of how the good guys are behaving. Even more unsettling is the alternative. The film, directed by Dennis Villenueve, takes place in a small town in rural Pennsylvania, the sort of place where the forest, let alone everything inside it, can often not be seen for the trees. Keller Dover (an award-worthy performance by Hugh Jackman) is a paranoid, conservative man who prides himself on his preparedness for any disaster that could befall his wife (Maria Bello) and his children. However, he is caught off guard when his daughter, and the daughter of his friends (Terrence Howard and Viola Davis) go missing while playing outside, and an enormous manhunt soon ensues to find the children. The prime suspect in the search becomes Alex Jones (Paul Dano), a disturbed and slow young man who lives at home with his aunt (Melissa Leo, in a wonderfully understated performance), whose caravan was parked nearby during the disappearance. As the days go by, Dover becomes frustrated with the ineffectiveness of the police, and becomes obsessively suspicious of Jones. Initially, we agree with him, until we meet the film’s other star, Jake Gylenhaal as David Loki (presumably no relation to the Marvel Comics villain), the detective assigned to the case. Loki quickly begins to realize that the issue is much deeper than it looks, and could involve a secret from far in the town’s past. Before long, the film becomes a question of whether or not Loki can find the missing kids, while also protecting his suspects from the increasingly volatile Dover. As evidenced by it’s perfectly assembled cast, “Prisoners” is built on performance. The actors have a small setting to work with, and they do a tremendous job building their world, in particular the chemistry between Jackman and Gylenhaal. The direction is appropriately unsettling, and the writing is airtight, but it’s the feeling of desperation that comes from the characters that ultimately drives the film. But “Prisoners” is more than a white-knuckle rural thriller; the ticking-time bomb plot that drives the movie is relatable to anyone in the more paranoid, post-millennial world. Like many modern thrillers, there are points in the film where the suspense can become tiring, and at two-and-a-half hours, it’s a little longer than it needed to be. All the same, it’s a clever film that’s thrilling in all the right ways, and scary for all the right reasons.